Essentially I’ve been writing my entire life. In school I discovered that choosing to answer test questions in “long form” that is, essay as opposed to multiple choice questions, got me better grades. I think teachers looked at the pages and thought, “Well, the right answer must be in there somewhere.” Seriously, except when I worked in the experimental fields at the University of Minnesota (we were creating new strains of corn) my job choices have all involved a heavy component of writing. Fiction writing became a major piece of my life later, when I approached retirement. I started seriously writing fiction about twenty years ago. At what point did you reach a place where you felt successful as a writer? I haven’t reached that point where I consider myself successful as a fiction writer. I’m still learning, still improving (I hope) but I’m not sure how to define success as a writer. The high volume of work I produced for the Minnesota Highway Department’s Safety division, back in a previous century, was success involving writing. Is the writing life what you expected when you started out? If not, how is it different? I’m married to a publisher. I pretty much knew what to expect except for the advances in technology which have produced major changes in the landscape. The general public seems to think authors are relatively wealthy. Without prying too much, has your writing income lived up to expectations? I didn’t have “expectations.” I hoped my writing would produce sufficient income to allow us to take some research trips. That hasn’t happened. I know a lot of authors, many fairly intimately, so I can say with some confidence that most authors, at least of genre fiction, are continuing to maintain and rely on their day jobs. Early on, so much focus is given to getting published. Now that you’re published, how has your focus changed? Not much. I knew going in that this is a business and that I’d have to devote time and energy to that aspect of the thing. I am still trying to write books with plots and characters and settings that I would like to read if written by someone else and, that are as well-written as I can make them. Because I came rather late in life to the fiction writing game, I chose to go directly to small independent publishers without engaging an agent. That was in order to get a few novels published before my death. As things have worked out, I enjoy the independence of running my own writing business. I don’t make as much money as a good agent might have negotiated for me, but I have a fine publicist, I have more than a dozen stories in print and I’m getting enough feedback from readers that I am persuaded I made the right choices. Not having to rely on my fiction writing to pay the mortgage helps. How long did it take you to get published the first time? About nine months from the time my critique group was satisfied the manuscript was ready. By that time, the story was a year old. That was the advantage of going with a small independent press. Would you do anything differently if you had it to do over again? Yes, this is such fun, I would have started much earlier if I had realized the great satisfaction and pleasure I derive from the writing and the association with this marvelous community of crime fiction writers. Writing new material, rewriting, submitting new work, waiting, promoting published work…the list is large. How do you manage to divvy up your time to give adequate attention to all needed areas? Since I also read and review crime fiction , time management is a real problem and I have no answers. Fact is, I’m behind on lots of projects, although the fact that I don’t have multiple-book contracts and thus pressing deadlines, makes things considerably easier. My deadlines are my own. What is the single most exciting thing that’s happened to you as a writer? Selling my first book (Inner Passages) which was confirmation that there was a market for my stories. What is the single most disappointing thing that happened to you as a writer? Not selling my book to the movies for a million dollars. Hooking up with two fine writers (Ellen Hart and William Kent Krueger) and forming the Minnesota Crime Wave was one of the best things. Understand that this is a business and to be successful you have to take a realistic business-like and somewhat organized approach. You will become a marketer and salesperson and you still have to write the best books you possibly can. I’m pretty good at personal contacts, but practically, I try to use social and other media as much as possible. I think you have to use as many tools as you can. But in the end, it’s the writing. 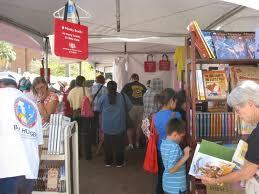 The books have to bring new readers into the fold, whatever the format or platform you choose. Setting up events or appearances. Making cold calls. Can’t do it. Oh, yes, one of the finest bookstores in the land, owned and operated by a succession of knowledgeable, dedicated and hard-working individuals. I refer of course, to Steve Stillwell, Pat Frovarp and Gary Shulze, owners at various times of Once Upon A Crime, in Minneapolis. 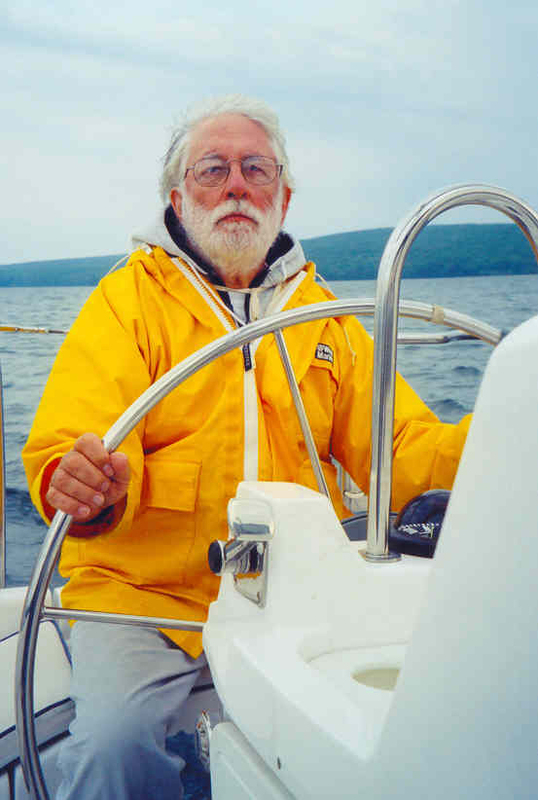 “Night Sail.” Fiction. The Pinehurst Journal, summer 1992. “A Winter’s Tale.” Fiction. Silence of The Loons, fall, 2005. The Great Train Robbery of the title was a real event in 1935. A Federal rail car was robbed. The money and the perpetrators were never found. In 2010 a man digging for his garage foundation, discovers disintegrating money and an ancient revolver. Could the money and revolver be tied to the train heist? Somebody thinks so because mayhem and murder ensue and Sean Sean is called in to identify the corruption and those still alive who are linked to the old crime. It becomes a race against murder to find the perpetrators. 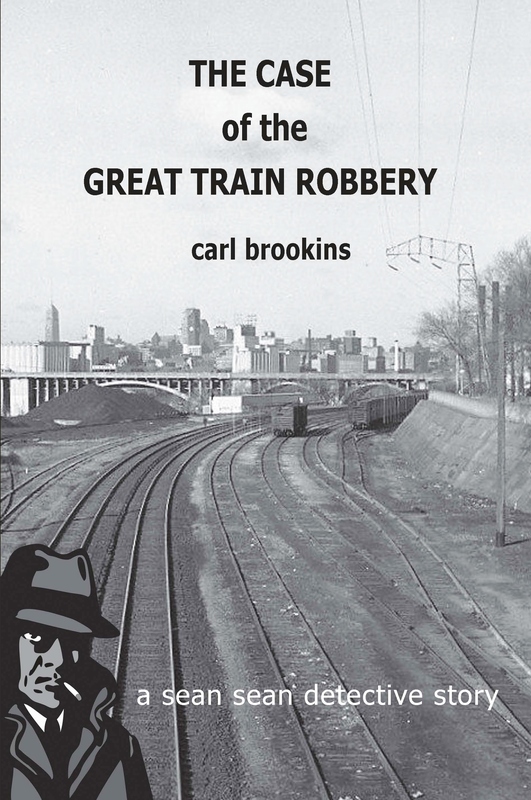 The Case of The Great Train Robbery is available in a Trade Paper edition from Once Upon a Crime and from the author. As an e-book it’s widely available from Amazon, Barnes & Noble, the Apple store, Kobo and Smashwords. I’ve just posted/published my 1,000+ crime fiction book review. Thanks, Carl, for taking the time to talk with us here. I urge every one of you to check out Carl’s work and pick something that you’ve not yet read. I know there are lots and lots of authors to choose from, but he’s one you really don’t want to miss! 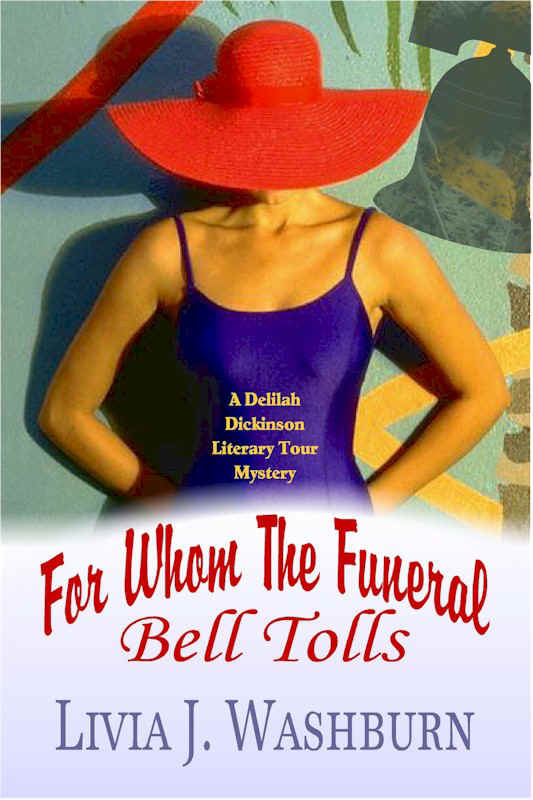 A trip to Key West and a stay at the Brandenton Beach Resort is the latest on Delilah Dickinson Literary Tours. Fans of Ernest Hemingway were all looking forward to an adventurous vacation but no one, not even Delilah Dickinson, had any idea just how adventurous this trip would turn out to be. The participants on the tour were a diversified group and some had something more than Hemingway on their mind. Luke, Delilah’s son-in-law and assistant, comes along on the tour and does his best to help Delilah keep everyone under control. Walter Harvick who is on the tour alone feels that he knows more about Hemingway than the author knew about himself and does not hesitate to let everyone know that he is an expert. He even goes so far as to start a fight in “Sloppy Joe’s”, a bar with the same name as the bar that Hemingway was known to frequent. Delilah found the owner of Brandenton Beach Resort to be an attractive single man and was dividing her time between keeping the tour guests to the schedule, flirting with the new man in her life and keeping Walter out of trouble. The juggling act was working out pretty well until Doris Horton and Julia Dunn, two widows on the tour, happened to find a body on the beach as they took an early morning stroll. It would appear that the victim had committed suicide. The police investigation put a halt to the activities of the tour group but not to Delilah and her curiosity about the death and whether or not it was really a suicide or murder. 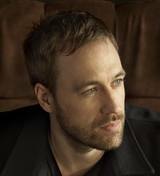 Washburn writes an interesting story with some good information about the Key West area. The characters are interesting and the ending is a surprise. Readers are sure to enjoy Livia Washburn’s travel agent series. Today, I’m talking with Carol Costa. I’ve only just been introduced to her work recently, but am intrigued both with her writing and herself. I hope you enjoy what she has to say! Carol: I tell people I was the Lone Ranger’s daughter, writing adventures with him in my head before I could put them down on paper. Professionally, I’ve been writing since 1980 when I sold my first story to a Canadian magazine. Carol: In the early 80’s, I realized that my business background in accounting and taxes could be marketable. I began selling nonfiction articles and became a weekly contributor to the Phoenix Business Journal as the Tucson correspondent. Carol: Nonfiction was an easy sell for me, but I wanted to write fiction. That was unexpectedly much more difficult to sell. However, I kept writing a variety of things, stage plays, romance novels, mystery novels and more. Carol: I have a lot of books in print now so people think I’m wealthy. I’m not, but I do make a fair amount on my nonfiction financial titles and that allows me to keep writing the fun stuff, stage plays and novels. Carol: My goals have just gotten bigger. Now I want a bestseller and/or a Tony Award for one of my plays. PJ: You go, girl! You’ll never hit a target you can’t see. How long did it take you to get published the first time? Carol: I sold my first short story almost immediately and became a published journalist the same year and had some short stories published in magazines and anthologies. However, it took six years to get my first play produced and ten years for my first book, Teach Yourself Accounting in 24 Hours to be published. Once that book came out I started selling my fiction, too. Carol: Probably not…It was all a learning experience and has made me the writer I am today. It’s actually the joy I find in creating rather than the money or sales that keep me going. Carol: The actual writing and the editing process for an accepted ms come first. I’m very disciplined and have never missed a deadline. Everything else waits until I have some free time. I have found that promotion is best left to the experts like Break Through Promotions. Carol: I’ve had some good book sales, but getting my first play produced in NYC was the biggest thrill. Carol: One of my plays was supposed to on its way to Broadway because a famous composer had written a musical score for it. Then, the producer who was from England had a health problem, closed down the show before it even previewed to return to England for treatment without letting me or the composer know. PJ: Oh wow! I’m sure that was a letdown. But at least it got that far. What’s the most memorable thing (good or bad) that’s happened to you while promoting your work? 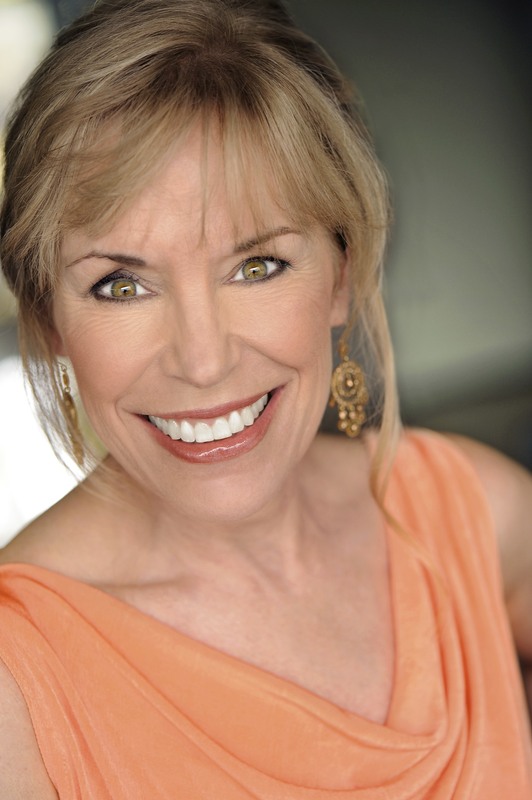 Carol: An excerpt from a book I wrote on bankruptcy was supposed to be published in Family Circle magazine. I had a telephone conference scheduled with the editor, but when I called she wasn’t there. I was annoyed until I turned on the TV and saw that she was probably running for her life becasue of 911. We did talk the following week and the excerpt was printed. Carol: I’m told I create excellent characters and plots that keep a reader intrigued. Carol: I have a sign on my desk that says, “You never fail unless you stop trying.” Don’t give up on anything you write…I’ve sold books twenty years after I first wrote them. Carol: Turning the job over to a good publicist. 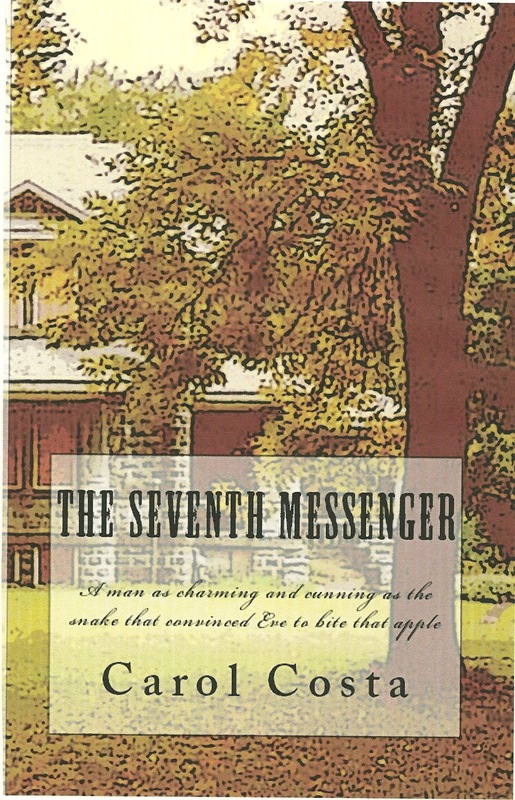 The Seventh Messenger is about a man as charming and cunning as the snake that got Eve to bite that apple. Anaphora Literary Press, Amazon and Barnes and Noble online. I was a writer in a past life. Well, there you have it, folks. Thanks for sharing with us, Carol. That’s an amazing list of work you’ve got there. Does anyone have any other questions for Carol? This lady reminds me a lot of the energizer bunny, although she’s not annoying =) I just don’t know how she gets it all done and done so well. If you haven’t been introduced to her work before, it’s high time because I know you’re going to be hearing a lot more about her in the future! PJ: Avery, how long have you been writing? Avery: Writing is still the same. I make deadlines. I write an outline. I write, write, write, and I enjoy the process. I love developing stories and characters. What is different is that I had NO IDEA how much publicity was required to help make a book a success. I had no idea of the time involved to do publicity and the expense. It’s exhausting. While there is help from my publisher, there is not enough to cover all the costs and time. PJ: Oh yeah! I keep forgetting that! Early on, so much focus is given to getting published. Now that you’re published, how has your focus changed? Avery: I’m so lucky and thrilled to be published by a wonderful, well-known publisher. What my publisher is able to do is get my book into the biggest stores, the chains and independents, and the publisher (certainly on the first in the series) did a big promotion to get the title out there so that bookstores and reviewers jumped all over it. I have a fabulously talented editor who is my great cheerleader. She has a good eye and has made my writing better. My print run was quite sizeable and nice. That offers me the chance to find more readers. Avery: A lo-o-ong time. Ten years at least. I wasn’t a bad writer; I didn’t have luck and that “it” factor when it came to my books. Agents liked my work but they couldn’t sell “that one” that I had submitted. They often asked for my next book. I have a number of previous manuscripts on my shelves. I intend to rewrite at least four of them (when I can find the time). I was crowned the “Queen of Rejection” by one of my writing groups. I like to think of that title as queen of perseverance. 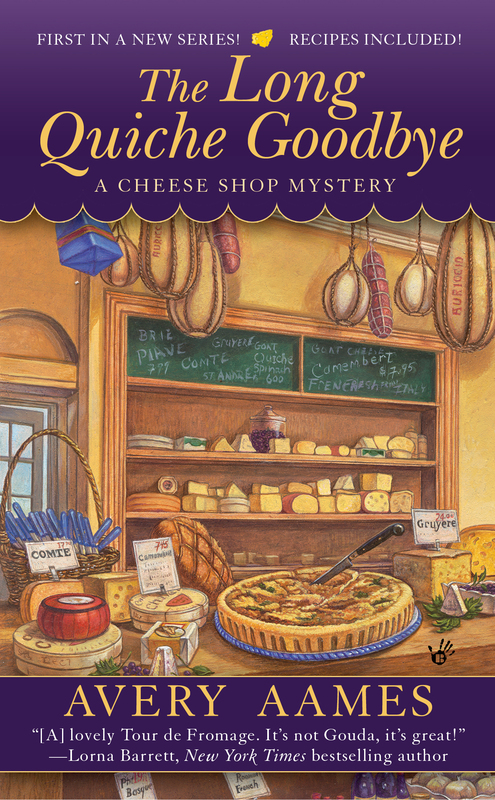 I was just about ready to give up, maybe go back to acting, but then along came an opportunity – the Cheese Shop Mystery series – and I was on my way. Avery: I would try to understand what a “hook” is (earlier) so that I could fashion a book better in that regard. I would work with an independent editor so that I could have had my writing at a top-notch level. And then there’s luck. I think I might have spent more time searching for lucky pennies and four-leaf clovers. PJ: I’m glad to hear you say that. I don’t hear it enough. If you’re writing as a career move, you have to make some effort to write what publishers want to buy. Writing new material, rewriting, submitting new work, waiting, promoting published work…the list is large. How do you manage to divvy up your time to give adequate attention to all needed areas? Avery: I try to write five days a week for at least two to four hours. I really need concentrated time. If I hit my mark on pages, then I can go do promotional things. There are times I find I don’t hit my number of pages (word count) and I’ll have to focus harder the next day. Some days are totally devoted to rewriting and outlining. But I create a schedule for producing a completed manuscript, and I try to keep to that schedule at all times. My family is very supportive. They don’t like when I’m pulling out my hair. PJ: Must be working. You hair looks good. What is the single most exciting thing that’s happened to you as a writer? Avery: Being published. Seeing my book in print. And then I was lucky enough to win the Agatha Award for best first novel in 2011. That was a huge high point, though I do have to admit that it was wonderful just to be nominated. There were some terrific writers alongside me, including Alan Orloff, Sasscer Hill, Laura Alden, and Amanda Flower. This year’s flock of new writers is just as outstanding. Janet Bolin, Rochelle Staab, Kaye George, Sara Henry and Kari Lee Townsend. Avery: There isn’t a “single” thing. Constant rejection was hard. I had to continually buoy myself up. I got “close” many times with agents, as I said previously. Hearing “I like you, but…” over and over is a blow to the ego. Avery: What has been so much fun is meeting all my writing pals online. I have many. I adore them. The group has blossomed over the years. I started out by joining a group called the Guppies, an online division of Sisters in Crime. That group, which was small when I joined, gave me so much support. It continues to foster good writing and good conversation among writers. And then I went to conferences and met many of my friends in person. There’s nothing better. Friendships with those who understand the ups and downs of a writer’s life is invaluable. And then, of course, there are the fans. I LOVE hearing from and meeting fans. It’s so much fun connecting with them online and at conferences. Avery: Cheese. Food. Good stories. Fun. Family. Good characters. Snappy dialogue. A sense of pace. But, honestly, lots of writers offer these same things, so really it comes down to luck again. And possibly beautiful artwork on the covers. I love my artist Teresa Fasolino!! Avery: Don’t give up. If you do, you won’t be published. And don’t sell yourself short. You have a voice. Nurture it. Develop it. Keep it fresh. Avery: There are so many opportunities: Facebook, Twitter, a website, conferences. I can’t point to any one that really works. I have sent out postcards, done radio spots, gone to book signings in lots of different states. I have a newsletter that I send out every three months. I’ve had contests. Who knows, really? I know authors that don’t do any of this and they are successful. Uh-oh, here comes that word again: luck. Avery: I can’t seem to figure out how to do things on Facebook so I’ve hired someone to help me navigate. I can post and add pictures, but all the specialty things on that site confuse me. 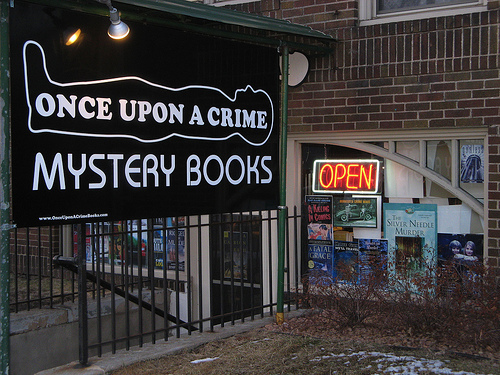 I love a couple of them around the country: Mysterious Galaxy, Mysteries to Die For, Book ‘em Mysteries, Mystery Lovers Bookshop, Murder by the Book, Mysteries & More, and Foul Play Mystery Bookshop. Charlotte Bessette—proprietor of Fromagerie Bessette, affectionately known in Providence, Ohio, as the Cheese Shop—is busy setting up her tent for the town’s Winter Wonderland faire, where she’ll offer fine wines and scrumptious cheeses. In the midst of the preparations, Charlotte meets an old friend of her mother, Kaitlyn Clydesdale, who has come back to Providence with plans to start a new honeybee farm. When Kaitlyn is found dead, suspicion falls on Charlotte’s assistant’s boyfriend, a honeybee farmer himself. Charlotte knows this beekeeper wouldn’t hurt a fly, so she decides to find the real killer. Like I said, she’s one busy lady, and deserves much success on the heels of all that work. 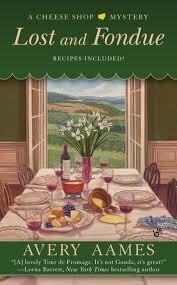 I love cheese, I love her books and I hope you will too! Katrina Burton is traveling to a new job teaching high school English at Cascade High School in Leavenworth, Washington. The last thing that ever occurred to Katrina was that this new life would start out with a white lie leading to another lie and another lie up to the point where Katrina finds herself lying to protect a murderer. It all starts innocently enough when Katrina picks up a strange man on her way to Leavenworth. Katrina was well aware of the dangers of picking up strangers but the weather was bad and there wasn’t any traffic and Katrina felt guilty passing up the man. Once he got in the car with her and her dog, Bandit, Katrina began to have second thoughts. When she spotted a sign leading to a turnoff to Lake Wenatchee she told her first lie and said she had a place at the lake and dropped the man off at the turn. Katrina was relieved to be rid of the hitchhiker named Zach and felt sure she had seen the end of him. Katrina and Bandit settled in the place that Katrina had rented and Katrina prepared for the first day of school. It turns out Zach Marshall not only lives in town but teaches in the high school where Katrina is going to begin her new career. To Katrina’s horror, Zach announces to the other teachers that Katrina owns a cottage at the Lake and suggest she host a party for her new coworkers. Katrina is beside herself trying to figure out how to get out of the one little lie she told. Jack Reeves is a man Katrina met at the local hardware store and she confides in Jack the problem about the party and the lake house. Jack comes up with a solution for Katrina to save face with her fellow workers. Though Katrina realizes it is not the best solution, she goes along with his suggestion. Zach is a strange character. I disliked Zach at times but other times felt sympathy for him. Jack Reeves also has many sides to his personality. Katrina soon begins to realize that Jack may not be the person that originally caught her eye. As the pages turn the reader soon realizes that with Reeves influence Katrina is digging herself a hole with half-truths and new lies. 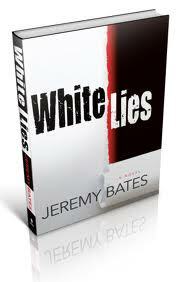 The characters in White Lies are strong and the suspense builds and builds. This is a book that leaves the reader wanting more. I will be looking for future books by this author. I’ve had the pleasure of working with Lea Wait for several years and I find her work unique and entertaining. She’s a “mom” after my own heart and I thank her for coming to visit us today! Hi, PJ – and thank you for asking to interview me! Lea: I’ve been writing all my life; the usual high school newspaper and poems and plays in college, and then I supported myself by writing executive speeches, corporate films, strategic plans and other nonfiction for many years. I didn’t turn to fiction until my mid-40s, and I started writing fiction full time in my early 50s. Lea: I was lucky early on. (Lucky after having written for years and studied writing, and reading everything I could when I wasn’t writing!) Although the first full book I wrote was turned down by 40 agents, the second book I wrote (an historical for children, Stopping to Home,) was bought by the first editor who saw it, a top editor at Simon & Schuster’s McElderry Books, and was lauded in book reviews. Then, a couple of years later, an editor at Scribner saw that mystery no agent had wanted (Shadows at the Fair), published it, and it was a finalist for a “best first mystery” Agatha Award. For several years I had both a new mystery and a children’s historical published, both by Simon and Schuster. I was getting good reviews from The New York Times. I wasn’t getting rich, and I was working like crazy, but I felt successful. I just kept pushing to try to make every book better than my last. PJ: Wow, that’s quite a story! Is the writing life what you expected when you started out? If not, how is it different? Lea: That early success didn’t prepare me for the major changes that were coming in the economy and in the publishing industry. 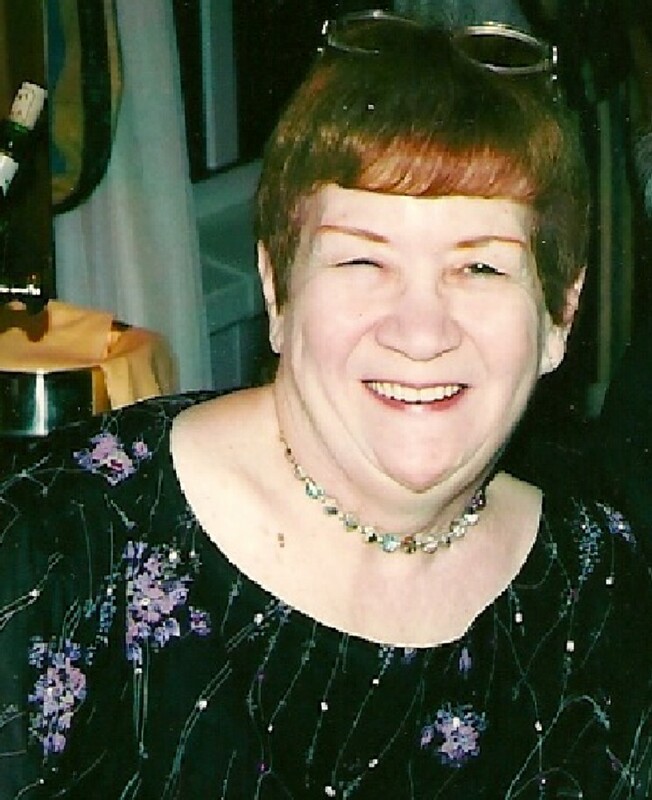 My editor at Scribner retired and, as a mid-list author, my series was retired with her. And when school and library budgets in the country were cut, so were publishing sales staffs who sold to them, and historical novels for children gave way to fantasy and vampires. My editor at McElderry was laid off. So, in a large sense, after having had eight books published in five years with a major publisher, I was back to ground zero. I’d been naïve enough to think that the contacts I’d made and the reviews I’d had gave me a platform I could stand on. I was wrong. PJ: Yikes! Would you do anything differently if you had to do it again? Lea: Yes, I think so. First, while I was still at Simon & Schuster I would have asked more questions about what direction the publisher saw my mystery series taking. It turned out we disagreed about that, and no one told me until they ended the series. If someone had mentioned it earlier, that might have made a difference. Maybe not. But I would have liked to have known earlier that they thought there was a problem. After I left Simon & Schuster I wrote a literary historical mystery, but it didn’t sell, and I partially blame my agent for that, but I also blame myself for not pushing enough. I don’t think it was submitted to the right publishers. I should have recognized that earlier, and tried to move to another agent. And I should have written a mystery that was more marketable at that time: a contemporary with more suspense. Instead, I focused on writing more historical novels for children, which I loved to do – but which didn’t sell, for the same reason Simon & Schuster hadn’t published them. I don’t think my strength is in fantasy, but I should have shaken myself and realized that this is not the time for historicals. PJ: What are you doing now? Lea: I kept getting letters from fans wanting to know about the fate of the characters in the discontinued mystery series, so when a small West Coast publisher wanted to pick it up, I decided to do that. 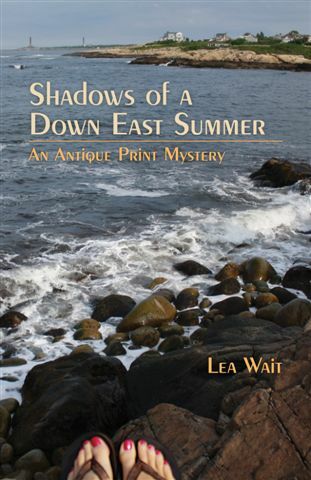 Last year Shadows of a Down East Summer was published, the fifth in the series, and next year Shadows on a Cape Cod Wedding will be out. So that keeps my hand in the mystery world and my series alive. I’ve written a contemporary mystery for children, which my agent for children’s books is shopping now, along with those historicals which I still hope will some day come back in style. At the moment I’m not writing any more of them. I’m also in the process of changing agents for my adult books, finding someone who will be more pro-active, to work with me in re-inventing myself. I have several ideas in mind, for stand alones and for series’. In the next month I’ll be deciding which will be my next project. I’m very excited about starting in a whole new direction. Lea: My characters and settings are my strengths. I take time with my writing; it’s strong, well-crafted, and evocative. Years of working in the theatre when I was in high school and college has given me a good grasp of dialogue. Most of my published books are set in the north east United States, from New Jersey to Maine, areas I know well, and they reflect the people who live there. PJ: What do you do to promote your books? 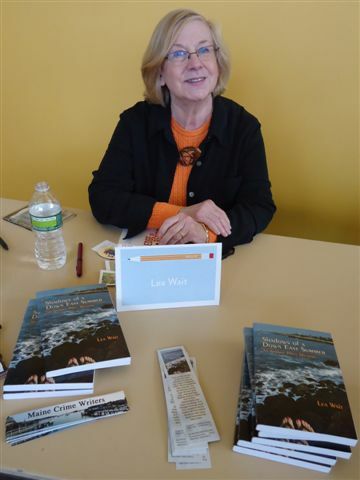 Lea: I have a website (http://www.leawait.com) and I blog with nine other Maine mystery authors at http://www.mainecrimewriters.com . 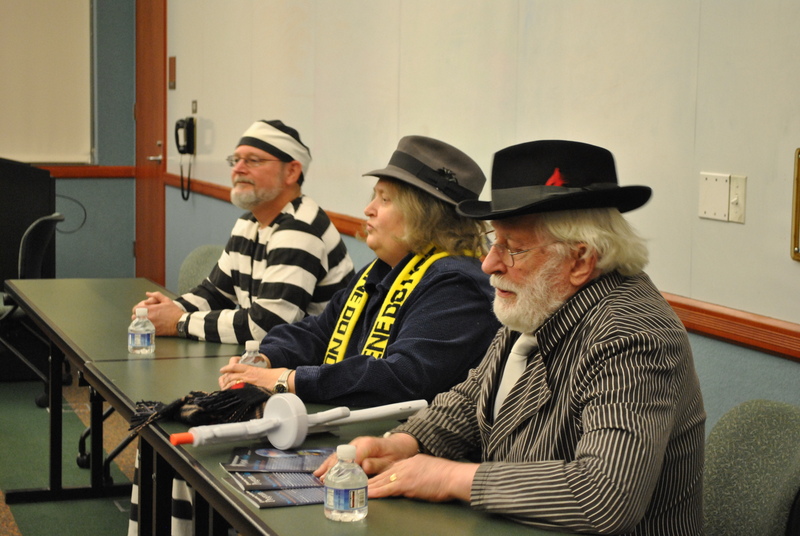 I’m a member of the speakers bureau of Sisters in Crime of New England; if you contact that organization they can arrange for one or a panel of mystery authors to speak at your group or library. I’m on Facebook (friend me!) where I post about reading, writing, and living in Maine. When I have a new book out I do signings and talks in New England, and sometimes beyond, and I make author visits to schools throughout the country. There’s more information about that on my website. If someone wants to know when my next book is out, I’ll either send them a postcard or an email. I’ll also visit book groups via Skype if they live a distance away. PJ: What are your published books? Give us an elevator pitch of your latest title. Shadows of a Down East Summer. Two young women posed for artist Winslow Home on the coast of Maine in 1890. What happened that summer; the secrets the women kept, the lies they told, changed their families forever. 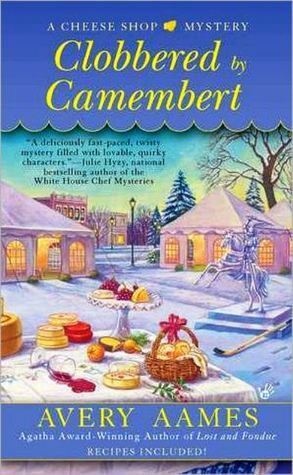 Now one of their descendants has been murdered, and Maggie Summer must find out which family myths are true before someone she cares about becomes the next victim. At any mystery bookstore; or order it at your local bookstore – or, of course, on Amazon. In trade paperback or e-book. What last thing would you like to share with us that nobody know about you and your work? Sneaky question! But, OK! Each of my mysteries is a take-off of a classic mystery style. Shadows at the Spring Show = terrorist plot! How very interesting! I never saw that. But these books are great – I hope everyone will go out and find one to read! Thanks Lea. Stop in any time! PJ: Hi Ellen! How long have you been writing? Ellen: Seriously writing, since college. I was a journalism major at a university that has since scuttled the J-School program, and I discovered playwriting in the last semester of my senior year, and I fell in love with that. I have been writing mystery novels for about the last decade. So for awhile. Ellen: That feeling definitely comes and goes, and some days I wonder when it will happen. However, having something published—between two covers—really helps feeling successful, at least for a fleeting moment. 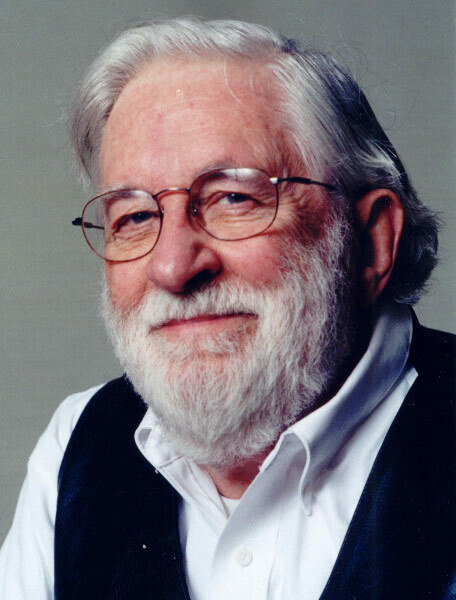 When my first play, A Christmas Cactus, was published by Samuel French, it was ahigh point. Ellen: It depends on which style of writing. Being a reporter was pretty much what I expected: low pay and long hours. As for playwriting, I had no idea it could be the agony and ecstasy that it is. When I started out as a mystery writer, I knew I would have to promote my work, but who could have predicted that Facebook, Twitter, Web sites, and more would come into the picture and soak up so much time? Or that publishers would put more and more of the burden of promotion on the author? It is a huge juggling game to keep up the quality of books in between the promoting end of things. Sadly, I am reading way too many books where most of the effort seems to have gone into the promoting and not the writing. Ellen: Hmmmm. I’d go with no. Luckily I have been practicing living economically all my life. Of course I wish that could and would change. Living extravagantly is a long-held dream. PJ: LOL Yes, for most of us I expect. But here we are. Early on, so much focus is given to getting published. Now that you’re published, how has your focus changed? Ellen: Finding the time and energy to write. I would like to broaden my audience and finish a thriller I’ve been working on and explore an idea for a YA novel. And there is a play I would love to return to. Ellen: The first book I wrote, KILLER HAIR, was published, but it took about a year from the time my first agent had it in hand until it was sold. After that, the publishing process itself takes about a year or year and a half. Ellen: I’d start writing books sooner. Ellen: That question makes me want to go right back to bed! For my first six books, I also had a full-time job as a reporter inWashington,D.C.. When I look back, I have no idea how I did it. I try to check in on Facebook every day. I’d like to be more consistent on Twitter, and I add something to my blog every month or so, and write for other blogs whenever I get the chance. But there is no way I could write a weekly blog, the burnout factor is huge. I am mentioning this last, but the writing is the most important thing—striving to keep up the quality. I try to write every day, but there are simply times when I cannot do that. PJ: I understand. Some days there just aren’t enough hours! What is the single most exciting thing that’s happened to you as a writer? Ellen: Ranking up there: Two Lifetime Movie Network films were based on two of my Crime of Fashion mysteries, Killer Hair and Hostile Makeover. They aired in the summer of 2009 and occasionally show up on Lifetime, but I cannot predict when. PJ: I remember! That was so exciting! What is the single most disappointing thing that happened to you as a writer? Ellen: At the moment, I can’t think of that, and if I did, I’d be whining. 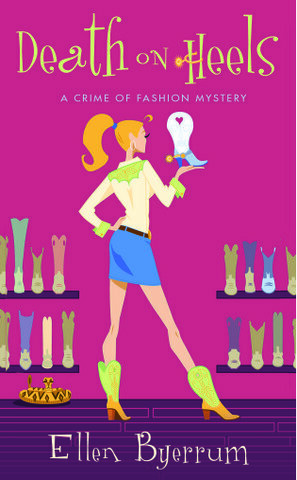 Ellen: Though they are about fashion and murder, and are funny, my books are not gimmicky. They have subtext. They build on each one. Every story is different, my heroine and I have to learn something new each time. I think the voice of the books is distinctive, and I try to give all the major characters, not just Lacey Smithsonian my sleuth, a distinct voice, a distinct way of looking at the world. PJ: I think you do that very well. What do you feel is your most effective tool for promoting your published work? Ellen: The quality of the books, if it’s not there, readers are not going to come back for more. People who love the books and encourage others to read them might just be the best tool. And I have very good and consistent covers by the very talented artist Craig White. 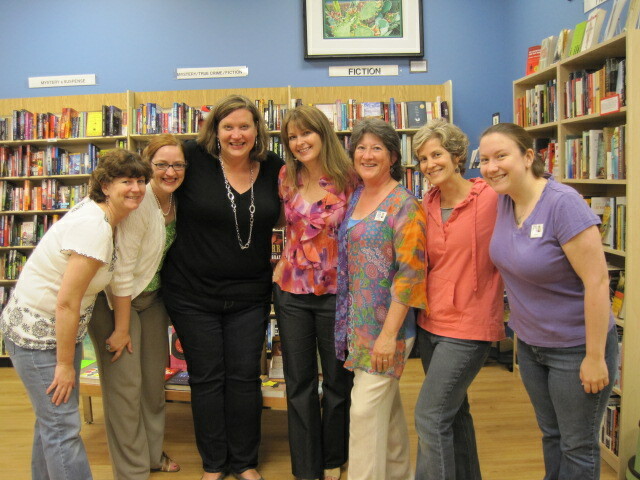 Ellen: Recently I moved across country and it’s very hard to find the connections that I enjoyed in the Washington D.C. area, where I knew other writers and bookstores, and where there were lots of opportunities for cross-promotion and great friendships. I’m slowly learning the ropes here inColorado and of course, going to my local Mystery Writers of America meetings. 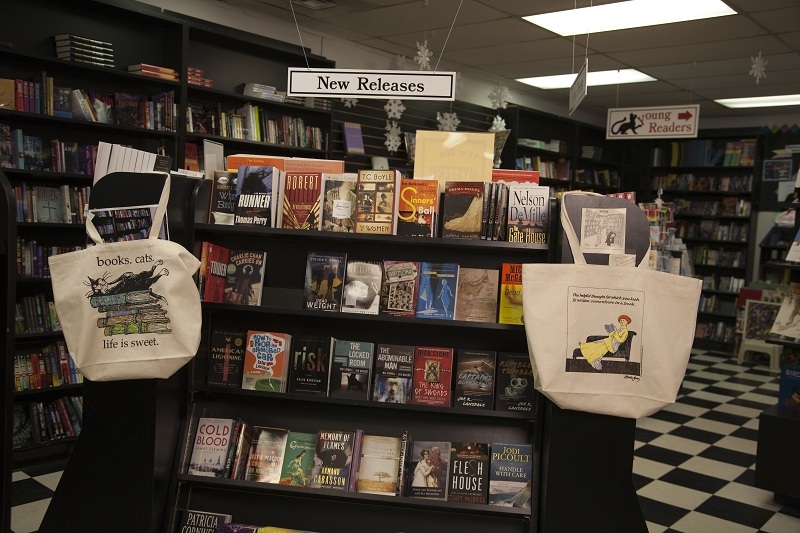 remiss if I didn’t give a great big shout out to The Mystery Lovers Bookshopin Oakmont, PA, formerly run by Mary Alice Gorman and Richard Goldman. My plays are published by Samuel French, Inc. When three young women are murdered, and the accused is a former boyfriend of fashion reporter Lacey Smithsonian’s, she cowgirls up and heads West to prove Cole Tucker’s innocence. And perhaps to resolve the last of her old feelings for the man she had loved and left. Lacey’s plan doesn’t sit well with her current beau, private investigator Vic Donovan, who has his own history (and game plan) in Sagebrush. Tucker takes one look at Lacey and abducts her in a daring courthouse escape into the badlands of northern Colorado. On the run from the law with her old flame, in stolen vehicles and on horseback, with Vic and the posse in pursuit, Lacey’s world turns upside down. Caught between two men, with a vicious killer on her trail, Death on Heels is a whole new—and potentially fatal—frontier for this fashion reporter. 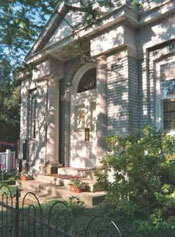 Mystery bookstores, Barnes & Noble, and other bookstores. And if you don’t see it on the shelves, remember that any bookstore can order any of my titles. They are all in print. Also, DEATH ON HEELS and all the others are available on line at all the usual electronic suspects. Ellen, thank you for stopping in! I thoroughly enjoy your work and know a lot of others do, too. My hope is that your sharing with us here will get the attention of a few more and you’ll add some new fans to the growing list. If you have a comment, please share it and by all means, pick up one of Ellen’s books!